We have instructions that cover every aspect of our existence. They are perfect and precise. The question is, do we consult them? Yes, they can be sought out for God’s grand story of redemption. They can be formulated and sorted into deep doctrines. But in everyday life, there are answers in there for our everyday problems. We don’t have to be perplexed or discouraged. Modern society has got to be the most informed of all time. 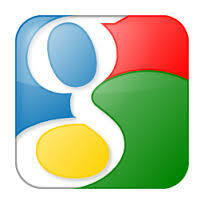 We have rich search engines at our fingertips, that allow us to find answers to everything. Why not search the Bible? Consult it first before rushing to conclusions. This entry was posted in Commentary, Devotionals, Proverbs and tagged God, knowledge, Proverbs, Proverbs 2:1-5, search, treasure, understanding, wisdom. Bookmark the permalink.